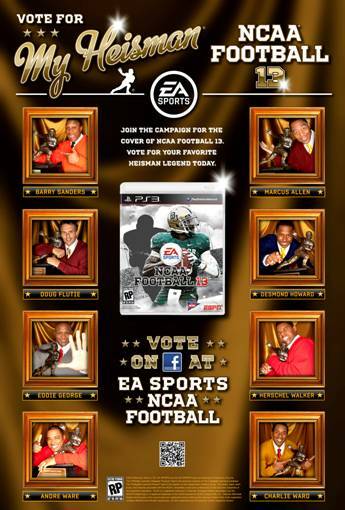 EA Sports kicked off the voting for the second half of the NCAA '13 cover today. Quaterback Robert Griffin III has already been cast as one half of the cover- who the remaining featured player will be is up to you. The vote, which is loaded with big time players, will be for an all time great to match the new generation star Griffin. Voting will be open until April 2nd with the chosen winner to be announced on the 16th.